According to the results of the current year’s report, Instagram showed that advertising expenses on this social network were four times higher than those that were obtained from Facebook. At the same time, YouTube advertisers were forced to lay out triple more than it was last year. 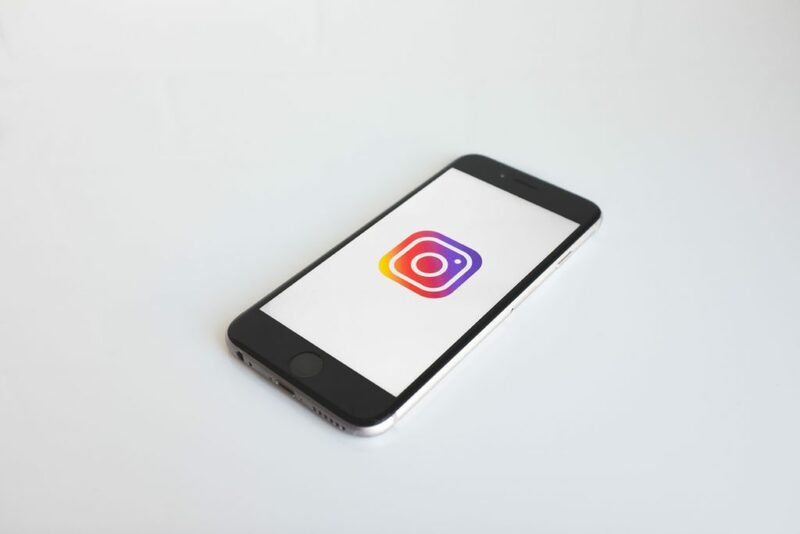 The Instagram preference trend on Facebook continues to grow unceasingly, and more and more advertisers are investing in the promotion of their product or services in the vastness of Instagram than on the territory of its parent company. 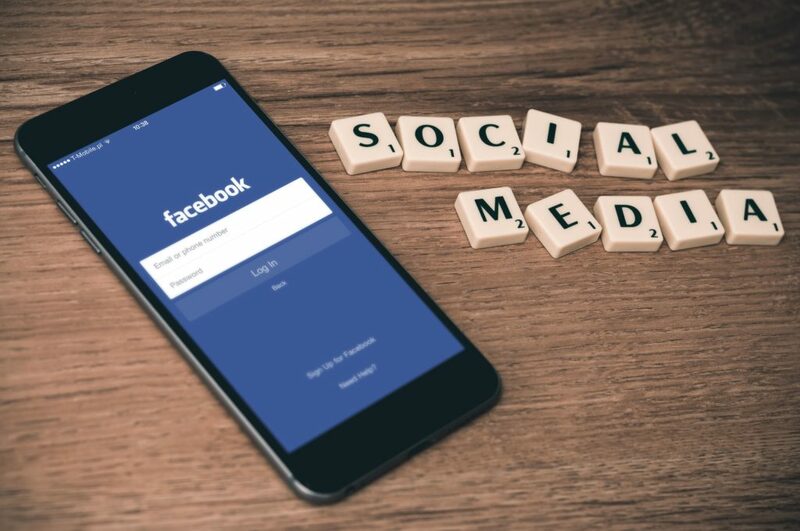 Thus, in the second quarter of this year, the figures for advertising revenue on Facebook increased by 40 percent, while Instagram showed a figure of 177 percent increase in profits. Such data were obtained thanks to the digital marketing report of Merkle, which analyzed all the client bases of agencies that used social advertising during a year. The report also showed an increase in Instagram performance by 209 percent, in parallel with which the average cost per 1000 impressions (CPM) fell by 10 percent. On Facebook, a completely different picture was observed, since the increase in advertising expenses on Facebook was due to a growth in CPMs, which increased by 70 percent compared to 2017. However, it did not save Facebook from the fact that the overall rate of advertising on Facebook dropped by 17 percent over the year. Even despite the general explosion of Instagram, it is still on the same level as other social networks that are less effective in terms of advertising investments. For large advertisers who actively use both Facebook and Instagram for promotion, the 23 percent jump in spending on Instagram is almost equal to the cost for Facebook in the second quarter. In other words — the application, which is based on visualization, has reached 20 percent more advertising impressions, and only 9 percent more clicks, compared with Facebook. 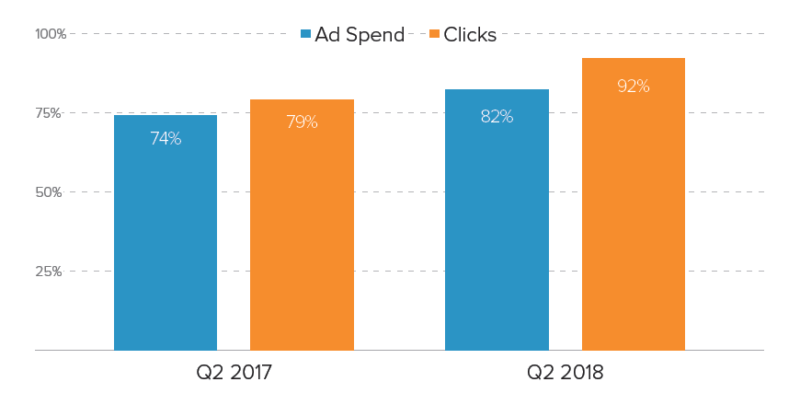 Based on the reported data from Merkle, it is clearly visible that the increase in the click-through rate (CTR) over the year showed a figure of 44 percent in the second quarter. In parallel, the increase in clicks that were received through the PC, showed a less pleasant result, reaching an increase of only 28 percent. Such indicators are closely related to the change in the Facebook algorithm at the beginning of the current year. Perhaps such actions were taken to influence News Feed ad CTR directly. Innovations have reduced the number of demonstrated publications that do not have an advertising character. Thus, the new algorithm shows mainly paid publications in the news feed, motivating users to make more clicks, thereby driving traffic to advertisers, and advertisers are lured to make more contributions to their advertising in order to get more coverage. The Facebook Audience Network, which is aimed at advertisers and giving them the opportunity to make targeting settings relative to their audience on Facebook, linking it to other sites and applications, is capable of showing an increase in advertising costs. Even despite such an interesting feature, Merkle’s report showed that only 1.5 percent of advertisements went to Facebook. Mobile, in turn, showed more attractive results, since the lion’s share of advertising expenses occupied 82 percent in the second quarter of the current year, while in 2017 this figure reached 74 percent. 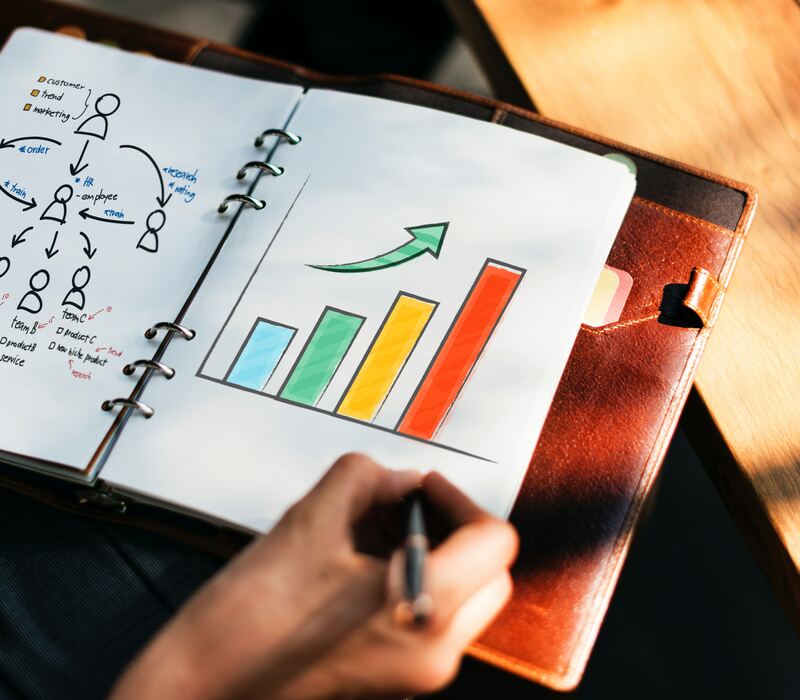 According to Merkle, excellent results were obtained — 92 percent of ad clicks were achieved in the second quarter, while the last year figure was 79 percent in the second quarter. Thus, this is the first time that Facebook advertising on mobile devices has been able to exceed 90 percent. Instagram was not the only platform that showed a triple increase in advertising expenses. The Merkle report showed that advertisers are actively investing in the promotion of products and services on YouTube. This, in turn, contributed to an increase in advertising spending of 189 percent year-on-year in the second quarter. The overall figure rose by 225 percent, while prices per thousand impressions dropped by 11 percent. Advertisements on YouTube through phones and tablets showed an increase of 79 percent in the second quarter of the current year, which last year showed 71 percent. Paid advertising on social platforms such as Facebook, Instagram, and YouTube has reached 85 percent for impressions from mobile devices, 78 percent through ads embedded in the video, and 49 percent through the display.